Paracelsus' 26th prophecy. 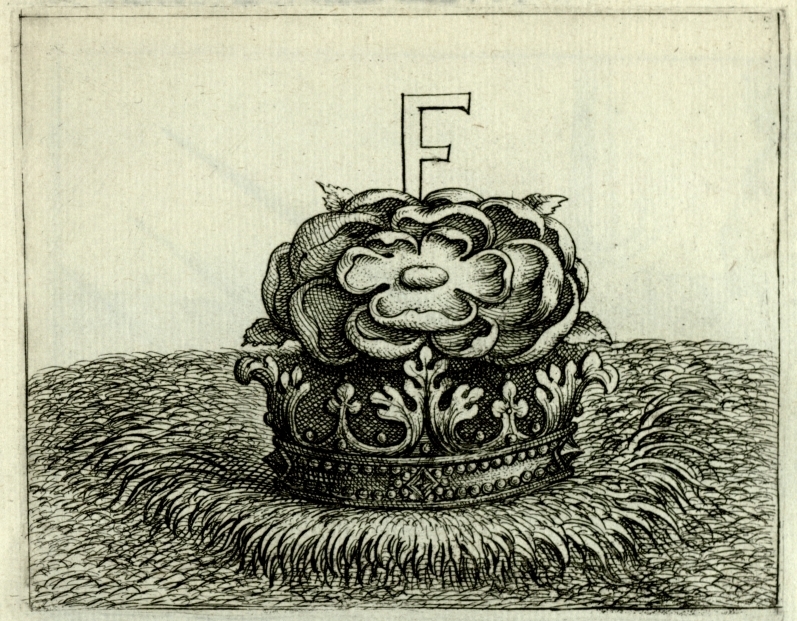 The letter 'F' sits on rose in a crown. Title taken from English translation: Prophecies of Paracelsus (London : William Rider & Son, 1915). Prognosticatio eximii doctoris Theophrasti Paracelsi reveals the prophecies of Theophrastus von Hohenheim, known as Paracelsus. Paracelsus was a revolutionary chemical physician also known for his occultist philosophy. This edition contains 32 prophesies and accompanying illustrations and may have been printed in France between 1560 and 1580. 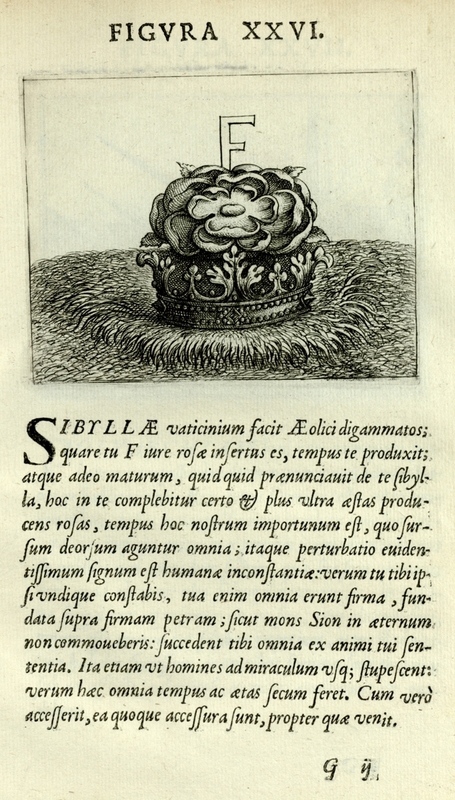 Paracelsus, 1493-1541, “"F" on a rose in a crown,” The College of Physicians of Philadelphia Digital Library, accessed April 23, 2019, https://www.cppdigitallibrary.org/items/show/2150.